In 1972, Japan's winter wonderland Sapporo hosted the 11th Winter Olympic Games. Meanwhile, a half a world away in Norwalk, Ohio, during that Olympiad, a nasty "winter vomiting virus" earned its namesake "Norovirus" when the Midwestern town endured an outbreak, according to this Public Health Agency of Canada page. It's a gastrointestinal virus that is highly contagious, causes diarrhea and puking, and generally brings 2-3 days of crud that nobody wants. 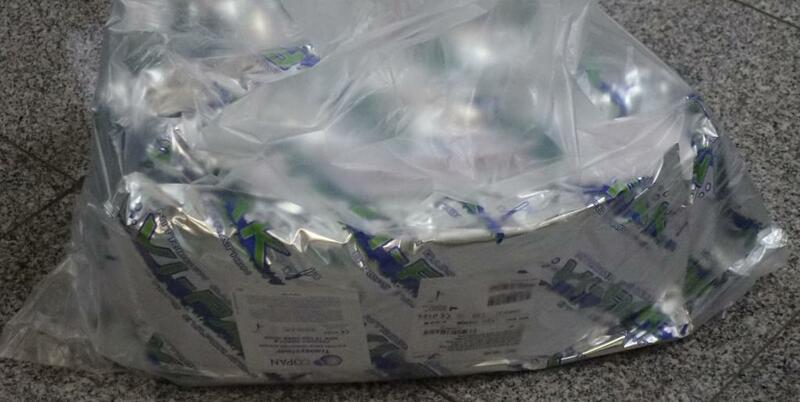 Olympic "runs" of this sort are gaining attention here in PyeongChang, where last week the organizing committee started issuing POCOG Statements on Norovirus. 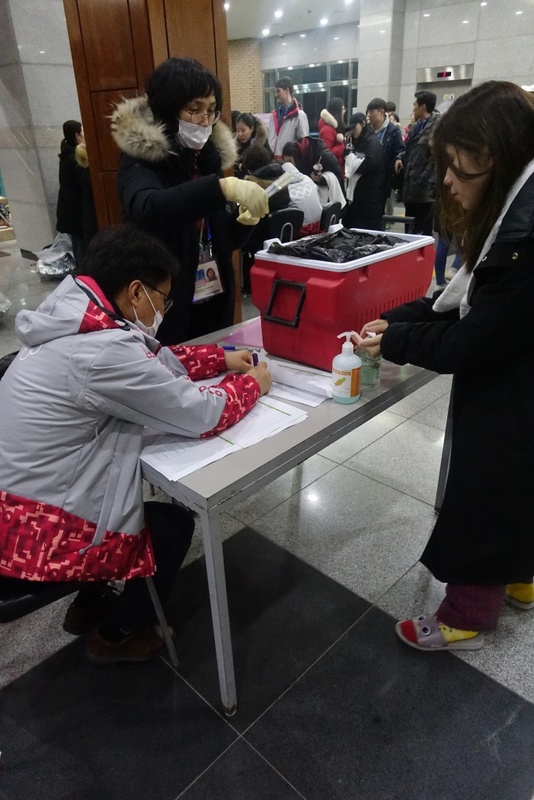 According to the latest of these media missives dated this morning (Feb. 12), from February 1 to 11, about 177 confirmed cases popped up at staff and volunteer housing areas in PyeongChang and Gangneung. There are even quarantines underway for certain staff. Last night I got a surprise peek at one outbreak response center, as volunteers assigned as National Olympic Committee (NOC) Services specialists -- a hand-picked group of volunteers recruited as drivers, hosts and "take one for the team" right hands to their NOC be it large or small -- were instructed to report for a "mandatory" screening session. 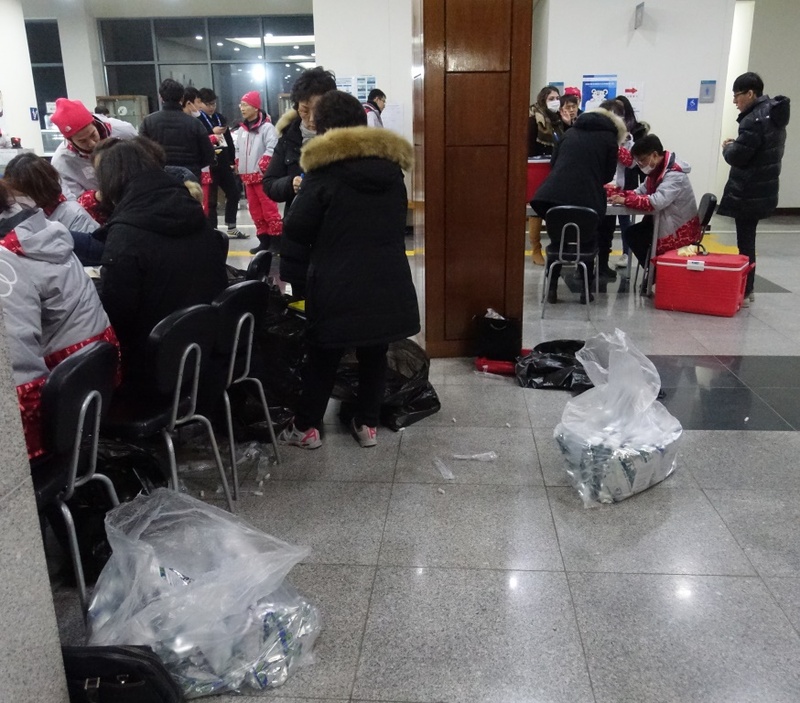 Many of these NOC volunteers had already been given the day off or given "in quarantine" status for the day, causing light to moderate hiccups for some NOC chef de mission staff working the Olympic scene. Another mandatory screening -- for those unable to report in Sunday night -- was to take place on Monday by 9 a.m., according to a volunteer who asked to an NOC Services volunteer who asked to be unnamed. I stood in the room where the Sunday evening screening check-ins were underway, with a good, long queue of volunteers filing in to show their badges, sign some paperwork and collect two rectal swab kits. 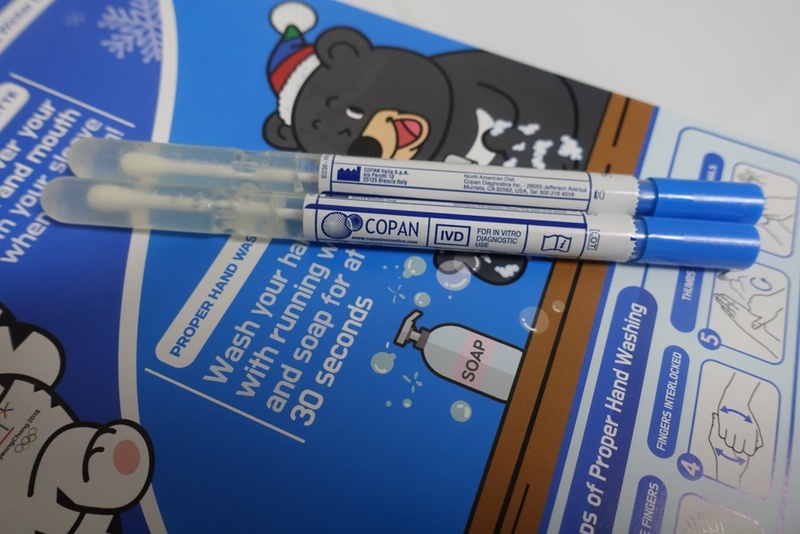 Yes, at the Olympics, they handed out DIY rectal swab kits, which volunteers dutifully carried to the nearest loo before turning in their dip sticks and signing more paperwork. Their sweet reward? A nice PyeongChang hand towel and a bottle of hand sanitizer. The chatter among volunteers in line was that the process was "no big deal" or "part of the gig" and that a "better safe than sorry" approach was warranted. Some made jokes or feigned dropping their drawers in line to lighten the situation. Norovirus infection can spread through contaminated food and water or physical contact with the infected people. It can also occur when touching your mouth or consuming food with your hands after touching a tap, door handle etc. on which the infected patients have touched without washing their hands. 6. Cook hygienically (sterilise knife and cutting board after cooking, use separate chopping board for fish, meat, and vegetables. I've been washing my hands, donning a paper face mask in some areas (more common, I find, in Asia than back home) and making time for hand sanitizer. Knock-on-wood, no symptoms so far. Yet another example that even at the Olympics sometimes there's a lot of *stuff* you have to deal with. 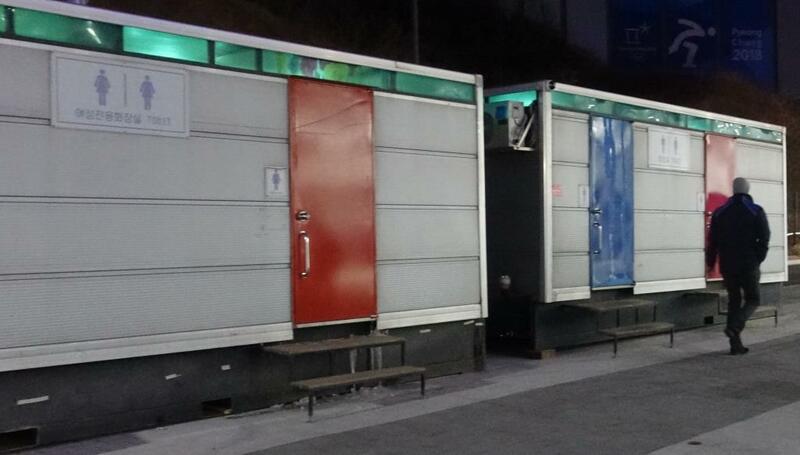 I can tell you that contracting this in the bitter cold of PyeongChang would be no fun at all -- some of the portable bathrooms created with recycled shipping containers are, well, freaking freezing. I don't know what's in the volunteer handbook, but let's hope rectal probes don't make the cut for future Games. Way better to stick with pins.